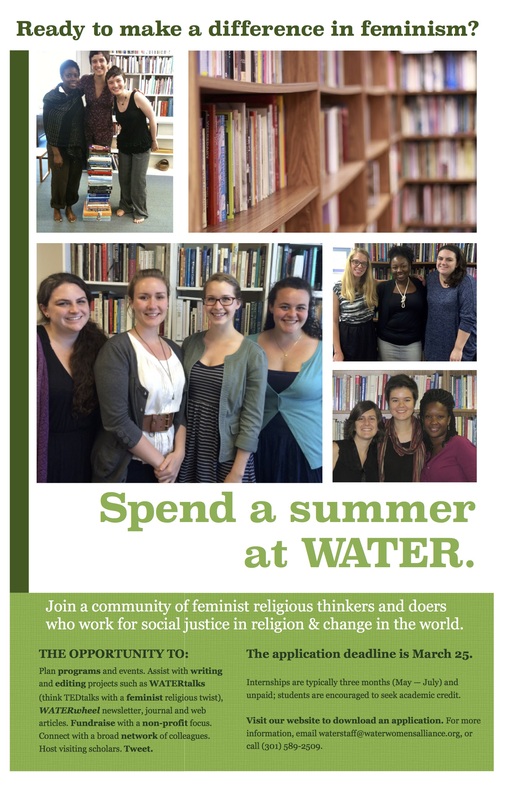 Want to join WATER for a summer of feminist religious learning? Apply for our internship program! We are accepting applications through March 25, 2015. Find out more information on our intern page.